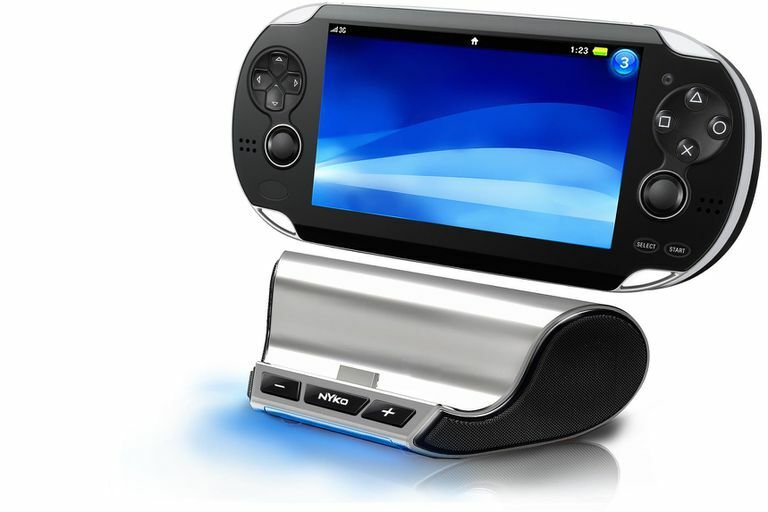 Like the PSP, the PS Vita is more than just a handheld game console; it's also a fully-featured multimedia machine. Unlike the PSP, you can listen to music on your PS Vita while you do other things. And not only can you listen to music files stored on your PS Vita's memory card, but you can also access audio on your PC or PS3 via remote play. You can transfer them to your PS Vita using the console's pre-installed Content Manager software. Keep in mind that you will not be able to play any files with copyright protection. To play music on your PS Vita, launch the Music app by tapping its icon on your home screen. This will bring up the app's LiveArea screen. If the app is already running, you'll be able to access the play/pause controls and the back and next controls right from this screen. If it's not running, tap "start" to launch the app. Once launched, the Music app will have a little icon in the top left that looks like a magnifying glass. Tap this to bring up the Index Bar, and drag the bar to switch between categories like Albums, Artists, and Recently Played. At the bottom right of the screen, you should see a square icon. It will show cover art for the currently playing song (or the most recently played, if there isn't one currently playing). If you tap this icon, or if you tap on any song in the main list (once you've selected a category), you'll bring up that song's playback screen. From here, you can play/pause, go back, and skip to the next song. You can also shuffle songs, repeat songs, and access the equalizer. To adjust the volume of playback, use the physical + and - buttons on the top edge of the PS Vita. To mute, press and hold both + and - until the "mute" icon appears on your screen. To unmute, press either the + or -. You can also set the maximum possible volume to avoid accidentally turning the sound up too high; to do so go to the "settings" menu on your home screen, and select "AVLS" to set a maximum volume. heavy: emphasizes high and low ranges; more powerful than "jazz"
jazz: emphasizes high and low ranges; more lively than "heavy"
To play music while running something else on your PS Vita, simply press the PS button to return to the home screen, but do not "peel" the Music app's LiveArea screen (in other words, don't tap and drag the folded over corner of the screen, as that will shut down the app). Back at the home screen, select whatever app you want to run and launch it. You can control music playback in a limited way without even leaving the new app. Press and hold the PS button for a couple of seconds (not a quick press, which will return you to the home screen) and the basic music controls will appear overlaid on your screen. You can play/pause, go back and skip to next from there. You can also access music files on your PC or PS3 right from your PS Vita, assuming you are in range and set up to connect to those other devices. On the Index Bar at the top of the screen (tap the magnifying glass icon in the top left corner to bring up the Index Bar if it isn't visible), drag to your categories, and if you're connected to a PC or PS3 they'll appear in your categories. Navigate to the songs you want and select them.